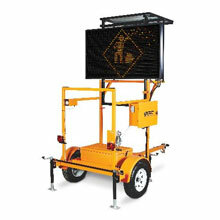 The Evo-N is the very latest impact resistant, passively safe bollard from TMP. It's one-piece construction and rounded edges make it ideal for urban locations. Evo-N bollards utilise the very latest retro-reflective materials - 3M Diamond Grade DG3 in Yellow Fluorescent for superior daytime and night-time viewing. It carries a 12 year delamination guarantee so the reflective face will not crease or crack over time. The bollards are available in single sided and double-sided versions (Evo-N Plus) in a range of formats - Keep Left, Keep Right, Pass both sides., No Entry etc. – we can put any regulatory sign design required on the bollard, to suit particular locations. Evo-N bollards are ideal for school crossing locations where a W141 School Ahead diamond can be used to denote a gateway crossing point and provide high visibility to approaching motorists.